Is Smartphone Use Killing Productivity? Two out of three employees use their smartphone several times a day at work. According to a recent CareerBuilder survey, three out of four employers believe that two or more productive work hours are lost each day because employees are distracted. What is the number one culprit, according to employers? More than half (55 percent) of employers blame cell phones and texting. The survey showed that the vast majority of workers (80 percent) have a smartphone and keep it within glancing range at work. Two out of three workers say they use it several times a day while working, but only ten percent of workers claim it decreases productivity. What is everyone doing on their cell phones? Well, surprisingly, four percent of those who use their smartphones during work for personal activities are on adult sites and another three percent are on dating sites. The majority, however, are using smartphones for personal messaging (65 percent), weather (51 percent) and news (44 percent). Playing games and shopping were also popular activities. Employers that are concerned about this issue need to have a plan in place. Clear and consistent policies are always vital. A little over a quarter of surveyed employers banned personal calls/cell phone use at work. Some might require that cell phones not be out on desks except during breaks or lunch. Another solution is to limit Wi-Fi access, which will cut down on smartphone use since employees may be concerned about their personal data limits. Other companies might be more flexible and choose to only address the issue when concerned with a specific employee’s productivity. If an employee is accessing content that would violate another employment policy – such as adult websites – that misconduct should be addressed. Creating and maintaining a well-crafted employee handbook helps protect California employers from lawsuits. 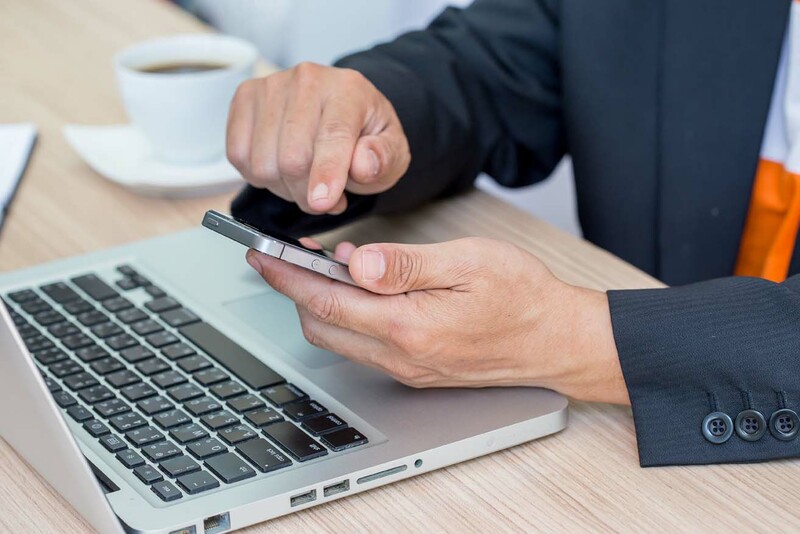 Since California employment laws can change at any time, CalChamber’s Employee Handbook Creator helps you keep your handbook policies up-to-date, including policies about smartphone use at work.